wooden gates gallery showcasing recent work undertaken for clients. If you need any assistance don't hesitate to contact us either by phone or e-mail. Situated in Bedfordshire, we design, manufacture and install individual gates, Barriers and iron work to customers requirements. Although the design and manufacture of gates is our main business, we also produce railings, fences, security bars, grills & structural steel work. We also specialise in gate repairs and restoration - anything from a simple side gates to full double door driveway gates. Our team also has vast experiance in Access Control & CCTV installation and servicing. The Gate Installation Company, Unit 23, Stoke Mill Industrial Estate, Mill Road, Sharnbrook, Bedfordshire MK44 1NN - Electric Gates, Wrought Iron Gates, Metal Gates, Wooden Gates UK. CAME Blu-partners,BFT, FAAC, nice, wood gates, field gates, metal gates, railings. 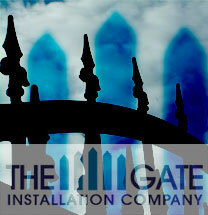 Gate Automation UK, Automatic Gates Installation Bedfordshire, Timber Gate Fitters and Wrought iron Gate Manufacturers, Gate Restoration, garage doors, electric gates, automatic gates, entrance systems, Wrought iron gate fabrication UK, Buckinghamshire, Hertfordshire, Beds, Northamptonshire, Cambridgeshire.